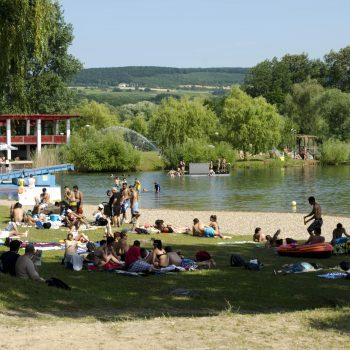 Remich’s public swimming pool – the ideal place for sport and leisure. The fully renovated swimming pool, wich is of the latest technological standard, completes, along with a new children’s pool, the swimming pool complex. 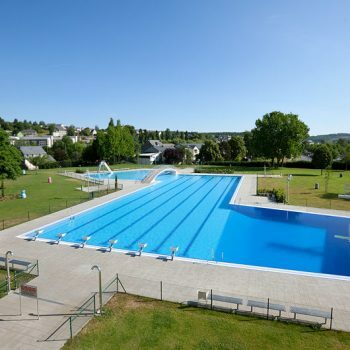 Each year, the swimming pool attracts many families to Remich, which revives our small city. 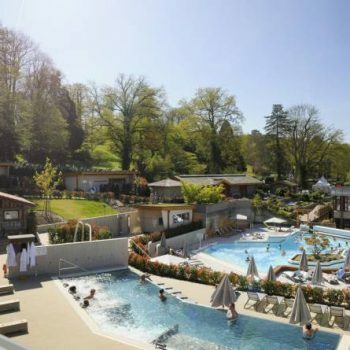 Spa installations, fed by a strongly mineralised water source flowing at 24°C, massage, packs and baths, fitness pavilion, sauna pavilion, thermal- and business hotel ****.